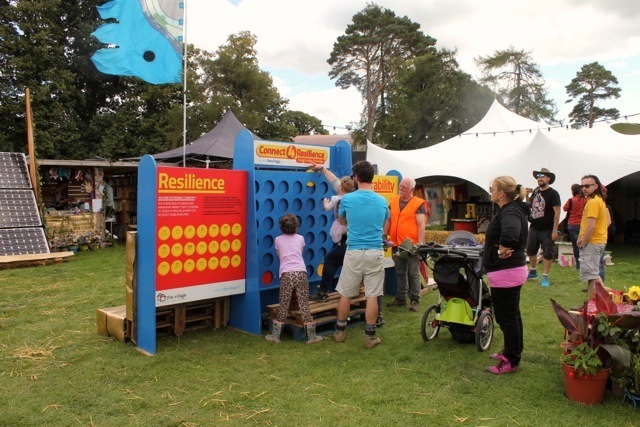 As part of a new European Day of Sustainable Communities and the national Convergence festival the Sustainable Community Fair will take place in Cloughjordan Ecovillage. This fair will highlight the sustainability features of this award winning ‘ecosystem of innovation’ and feature talks, discussions, stalls, a farm and enterprise centre open day and tours of the ecovillage. The Fair takes place on the 20th anniversary of the first Sustainable Earth Fair, which was first held held in Ireland in 1997, then in 98 and 99 and was the inspiration for the Convergence Sustainable Living festival which was first held in 2000. Cultivate has hosted the Convergence Festival every year since 2000. This fortnight of workshops and conferences held across the country sets out to inspire a cooperative and commons approach to job creation, building and stewarding shared resources, strengthening resilience and transforming our local communities.